[패턴영어] If you are + A, go and ~. If you are + A, go and ~. 만일 솔로면, 오늘 가서 자장면 먹는 거야. 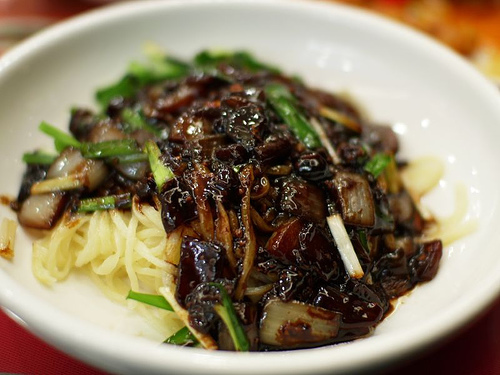 If you’re single, go and have black noodles today. 만일 피곤하면, 가서 휴식을 해. If you’re tired, go and take a rest. 만일 한가하면, 가서 영화를 즐겨. If you’re free, go and enjoy a movie. If you’re ready, go and participate. 만일 배고프면, 가서 간단하게 요기 해. If you’re hungry, go and grab a bite. 바쁘면, 가서 네 일을 해. If you’re busy, go and do your thing. 확실하지 않으면, 가서 직접 확인해. If you’re unsure, go and see for yourself. 만일 아프면, 가서 검사를 받아 봐. If you’re hurting, go and get checked out. A: If you’re single, go and black noodles today. B: I’ll make a double. A: If you’re busy, go and do your thing. 만일 바쁘면, 가서 네 일을 봐. B: I’ve got a few minutes to spare. 몇 분 정도는 여유가 있는데. A: I’ve made a New Year resolution to get married. B: I will, first chance I get. 기회가 되는대로 그렇게 할 거야.